The entrance to Vranja jama, Slovenia, by Chris Howes is one of twelve photos by members of the Outdoor Writers and Photographers Guild we chose to decorate the ViewRanger offices, representing the best of UK outdoor photography. 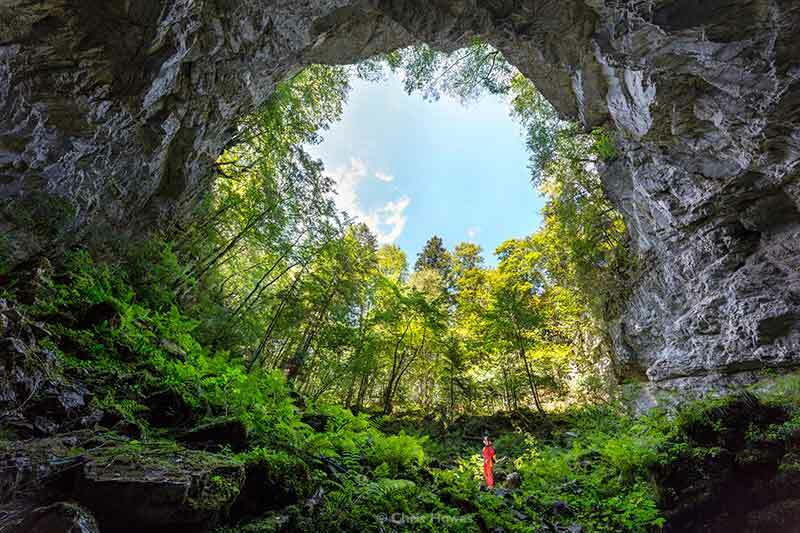 Caving in a region of Slovenia – where the term ‘karst’ (a limestone landscape) originated – the size and nature of the entrance to Vranja jama came as a surprise. The immense hole burrowed into the earth, seeking the depths, on a darkly cold, bleak day with a storm coming in. As the two of us descended, there was the merest gap between lightning and thunder, a time when a cave entrance is not the place to be as the discharge can track down the walls. It was safer, though wetter, outside. The image possibilities remained and the next fine day saw us return, timed for the best sunlight on the trees. To bring up the foreground, a set of flashguns are hidden in the ferns, fired by radio slaves with the output balanced to the background natural light. Chris Howes is the author of several books on cave photography, including a how-to-do-it manual Images Below and its companion title about a particular passion on the history of flash and underground photography, To Photograph Darkness. 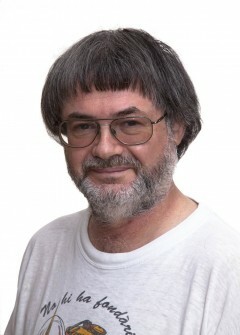 A freelance author and photographer, he also edits the caving magazine Descent and holds a Fellowship of the Royal Photographic Society, gained for his work in cave photography.